On Thursday, November 22 at 7PM the Senior Drama Class will be showcasing our entry into the Bard Youth Fest. 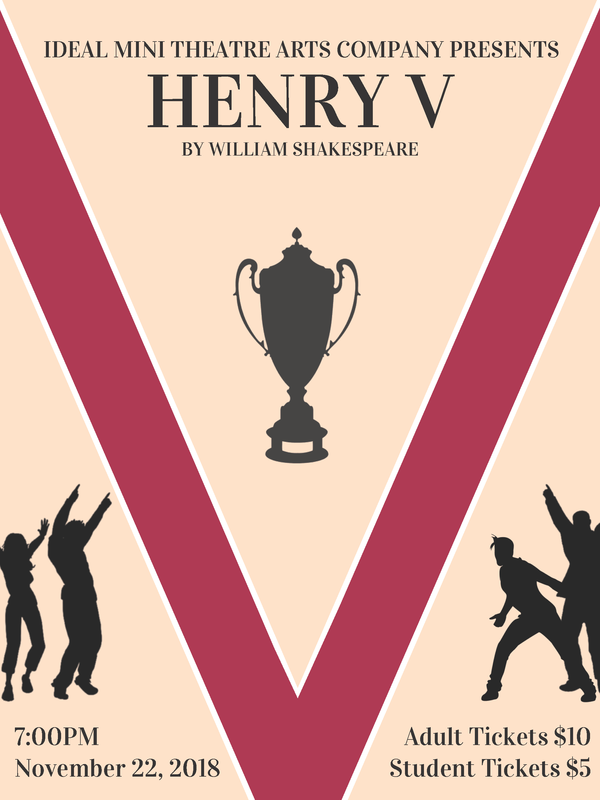 We’ve spent a lot of time working on this condensed version of Henry V and everyone is excited to share. Tickets are $10 for adults and $5 for students. Get yours ASAP as this will be popular show. Tickets available from our Senior Drama students. After Thursday’s show we are heading to the BMO Stage in Olympic Village on Saturday where we will perform our play at the Bard Youth Fest.